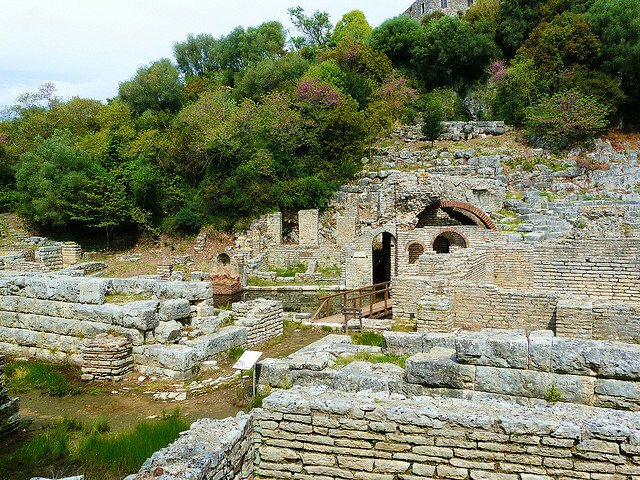 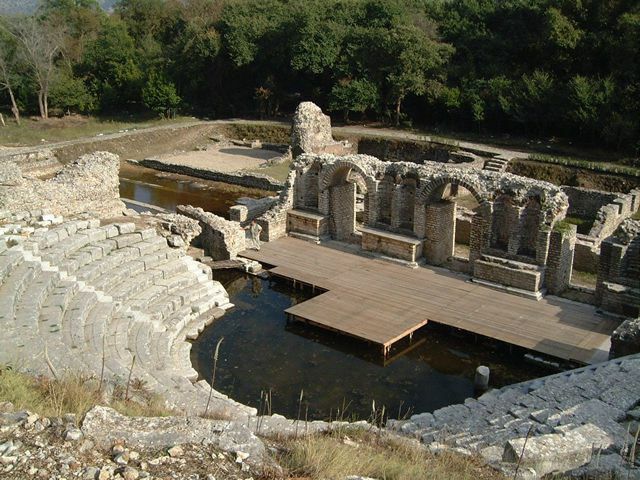 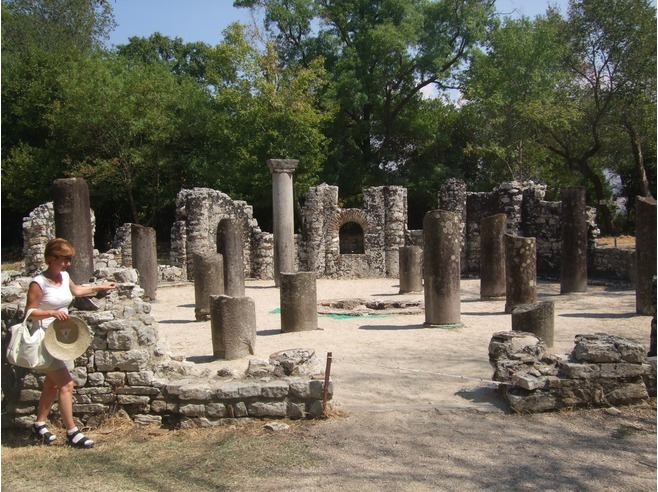 Buthrotum, an ancient city located in the Epirus region in the Sarandë District in Albania, is listed as a UNESCO World Heritage Site as part of the Butrint National Park. 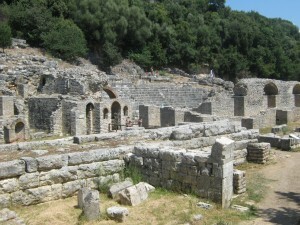 The ruins of the great Greek, later Roman city, was earlier known as Bouthrōton or Bouthrōtios in ancient Greek and Buthrotum in ancient Roman. 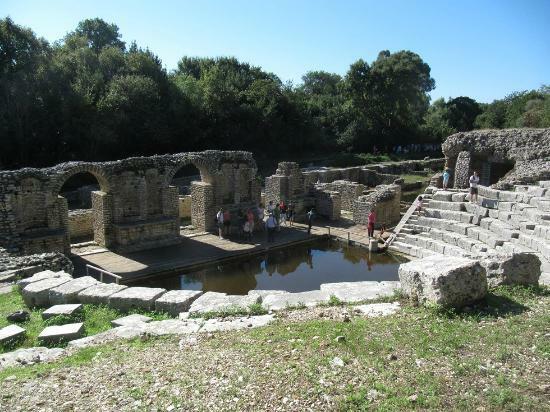 The place boasts of amazing landscapes and natural beauty, providing an excellent view of the Vivari Channel. Buthrotum has been inhabited by humans since prehistoric times with the Greek Chaonian tribe inhabiting the city before it became a bishopric and a Roman colony. 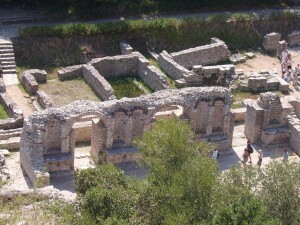 The city was a major center for the Greek tribe Chaonians, and had close contacts with the ancient city of Korkyra, the Corinth colony (preset day Corfu). 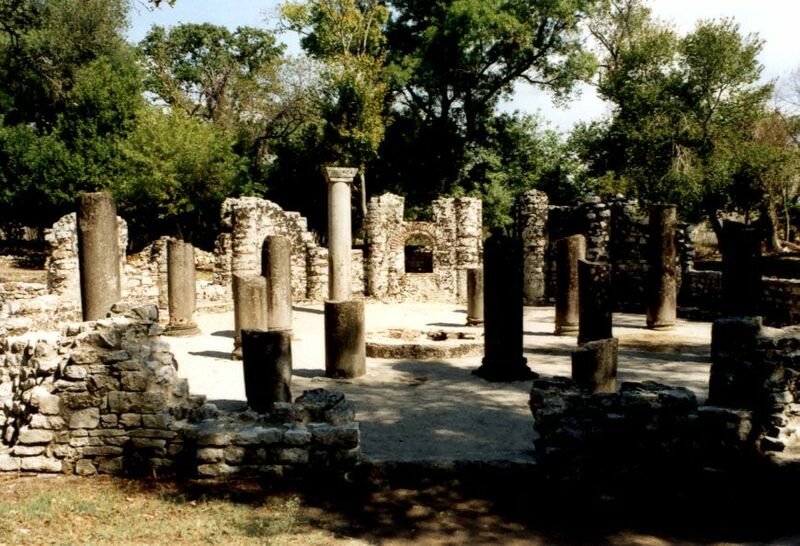 As accounted by the Roman writer Virgil, Helenus, the great seer and son of Priam, the king of Troy, was the founder of the legendary city of Bouthrōton. 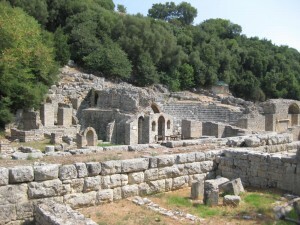 Despite the claims of evidence of the city’s being inhabited as early as the 12th century BC, archeological proof of human settlements dates back to between the 10th century and 8th century. 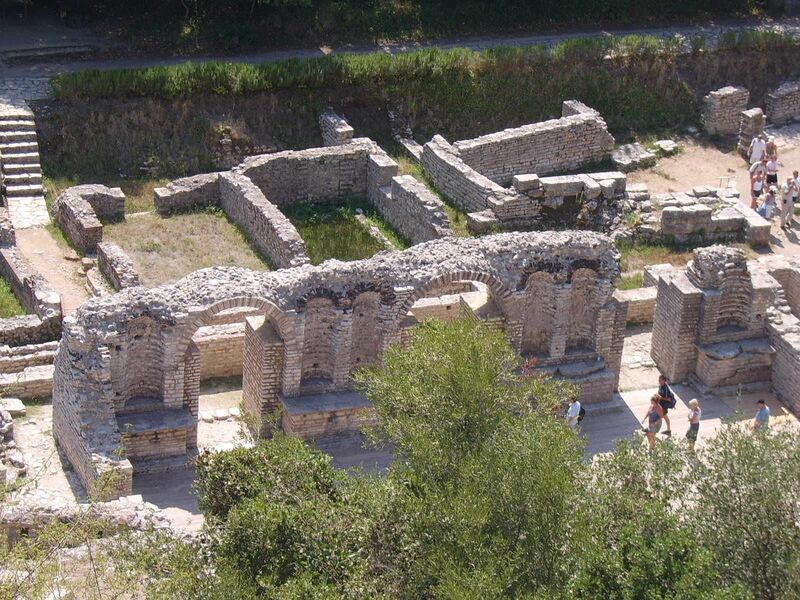 In 228 BC, the city started going under Roman control along with Corfu, becoming a Roman dominated region after 167 BC. 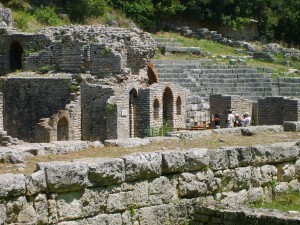 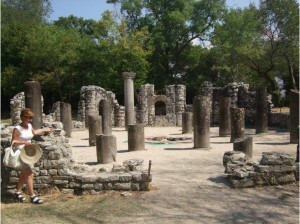 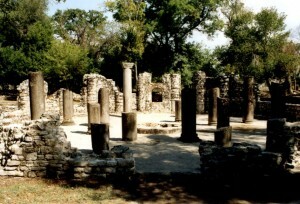 Over the next century, the city was included in the Macedonian province. 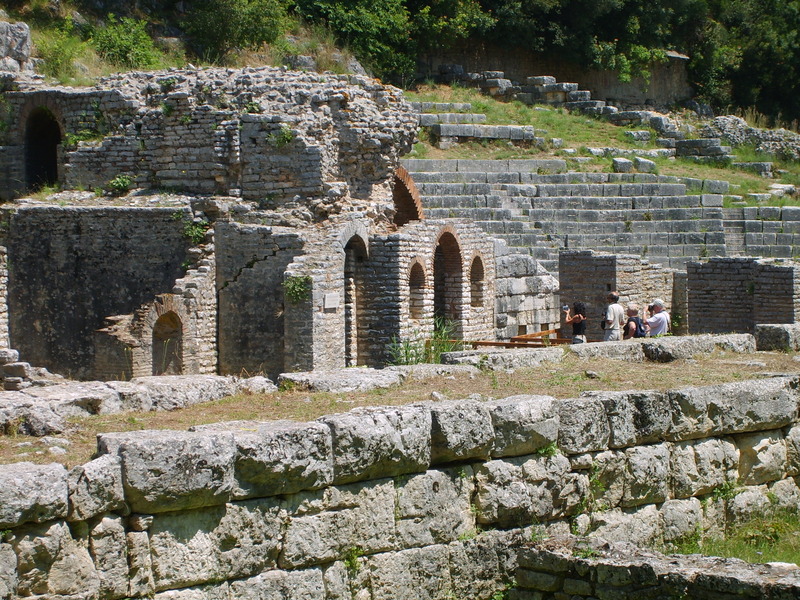 The declining of the city of Buthrotum began in late Antiquity, before it was abandoned in the Middle Ages, following a major earthquake that destroyed most of it. 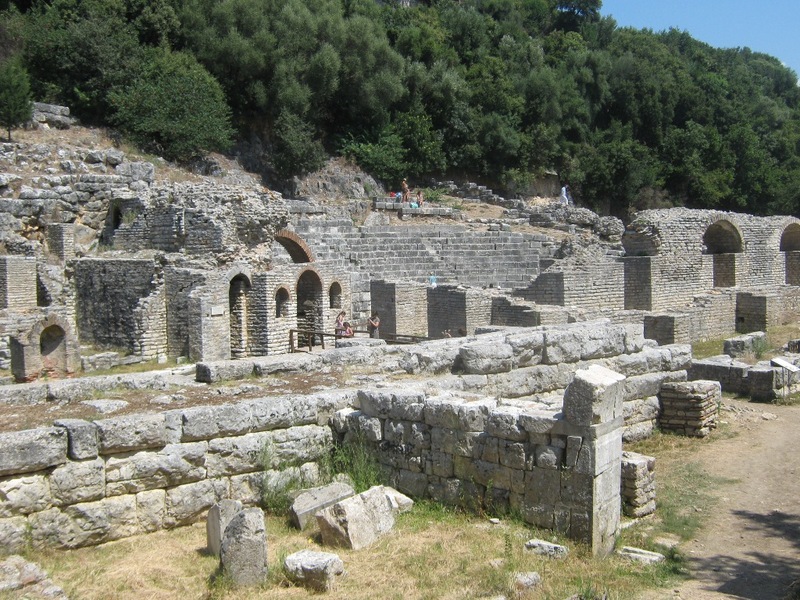 Archeologists have found specimens of 7th century Proto-Corinthian pottery as well as 6th century Attic and Corinthian pottery from the excavation site.